How Good is Grant Morrison’s Batman: Gothic? 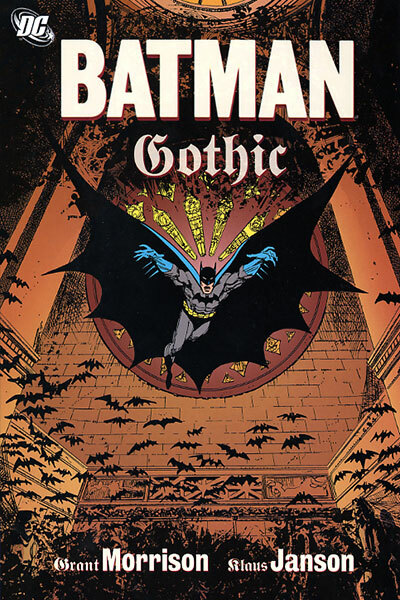 Batman: Gothic is trade paperback (TP) that collects The Legend of the Dark Night issues #6-#10. 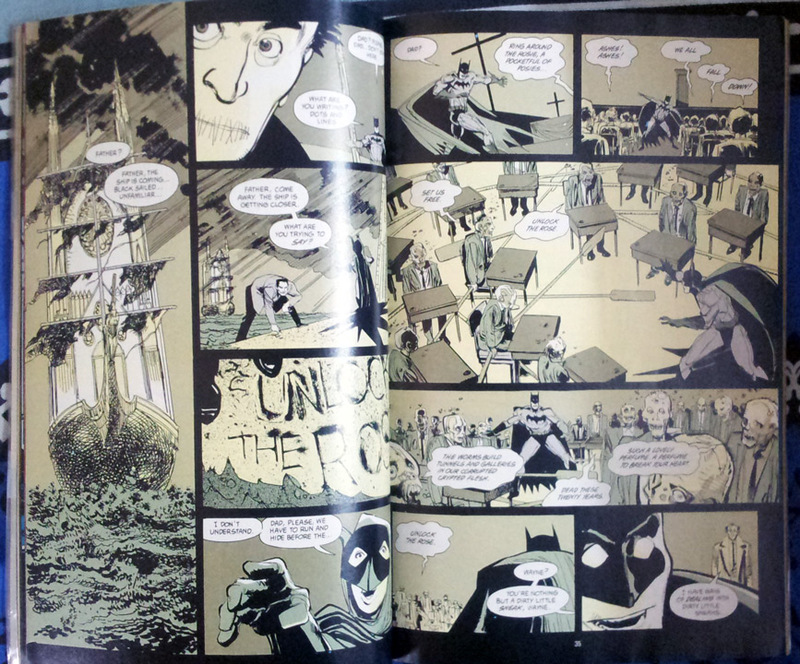 Written by Grant Morrison and illustrated by Klaus Jansen, Gothic tells a very unusual tale of the Dark Knight. That too, of one that directly attributes the supernatural as the cause of many events. A strange guy, Mr. Whisper, has been going around killing the mob bosses of Gotham. It is later revealed that these gangsters had killed Mr. Whisper twenty years ago. Somehow, he managed to survive. What appears to be a superficial tale of revenge turns out to be a bit more complicated when Bruce Wayne come to know of a crucial fact about Mr. Whisper – that he doesn’t have a shadow. Bruce recalls his childhood memories of a short-lived boarding school, where his tyrant principal, Mr. Winchester, also did not have a shadow. Not long thereafter Bruce realises that what Gotham is dealing with is not a mere mortal but someone who possesses supernatural powers and never seems to grow old. His quest for answers lead him to a flooded cathedral in Austria. He also gets to hear the folklore of a Satan worshipping cult and its leader, all of whom were once priests of the cathedral but eventually went corrupt. They raped and killed nuns to reach salvation via the path of the devil. One particular young nun was burned alive. Immediately therafter, the black plague hit Europe. In order to save himself from plague, the leader trades his soul to hell for three hundred years of life. The young nun’s soul apparently still wades through the waters of the flooded cathedral with a lantern in her hand because the last of her tormentors still roams the Earth. Or so the folklore goes. What follows is Batman’s attempt to confront the last of the surviving syndicate boss and stop Mr. Whisper from wrecking havoc in Gotham. In doing so he discovers that Mr. Whisper has bigger plans than just extracting revenge from his former allies. This is a very unusual tale of Batman. But then, I haven’t come across a Morrison story that isn’t unusual. Reading through the story, I was convinced that Batman’s setting can make a hell of a breeding ground for supernatural plots. At only 120 pages, this is one of the shortest Batman TP I own. The plot moves fast and never did I feel that the story dragged on. The cursive handwriting based lettering of the narration pages. These are amazing and very very unusual for a superhero comic. The flashback panels with minimal colour palette. Somehow these feel more artistic than the normal panels. Certain segments of the artwork. Or maybe its the colouring of the panels. For some reason there are panels that felt cluttered instead of imparting the sense of grandiose. At times I felt that a B&W treatment would have been better. But then, DC doesn’t release B&W issues. Bruce’s dream sequence early on in the story. It is confusing. Granted, that it was necessary for the author to introduce some mechanism that would allow Bruce’s dead father to communicate what he knew about the principal. The reader would also need to know that “Unlock the Rose” would have some significance later on in the story. Also, I am yet to read a Morrison Batman story that does not involve dreams. The strange coincidence involving tapes – the one that makes Bruce travel to Lake Dess in Austria in search of a drowned cathedral. It was sudden. It was weird. It was sudden and weird. A very pointless (and cliched) attempt to kill Batman using a Rube Goldberg machine. I know that a lot of people hate Morrison’s work. Then there are those who consider him a genius. I tread a middle path when it comes to Morrison. He is there in the canon. He did quite a lot of things that have influenced the series. Was he a catalyst in transforming the myth of Batman? Yes. Was he necessary? Maybe not. What do you feel about the book? Have you come across any other supernatural Batman stories? What do you think of Morrison’s work? Leave a comment below. 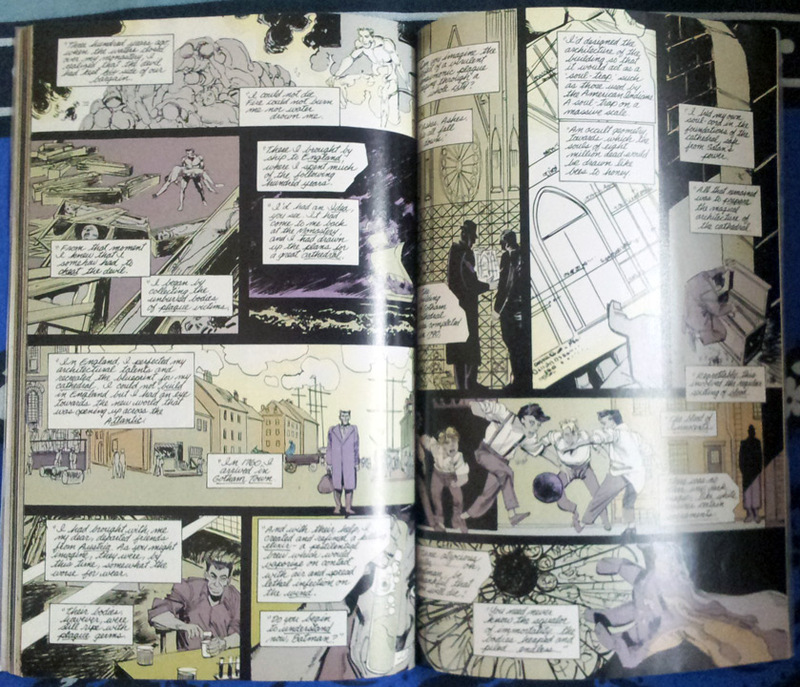 There are three volumes of Batman: B&W published by DC. But then, it was a very specific, one off attempt.